Throwing a party and want a cute bag filler to give away to the party guests? 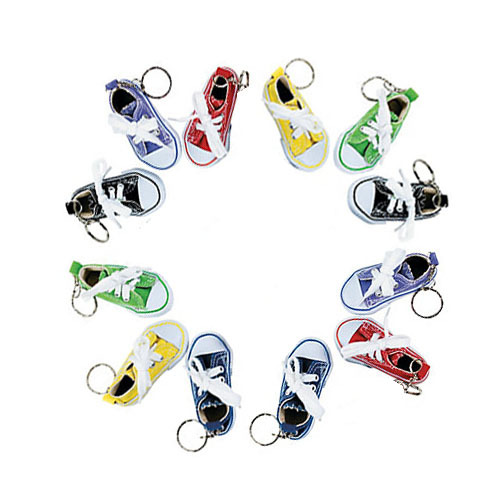 Grab these canvas sneaker keychains and throw them into the party favor bags; they will do the trick. Kids will have a ton of fun using these on their backpacks, keys, etc. Length: 2.75" Height: 1" Width: 0.5"